This plant fossil was found in the Florissant Formation of Teller County, Colorado, USA. 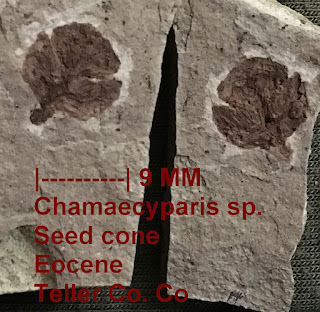 The fossil appears to be a Chamaecyparis sp. seed cone. 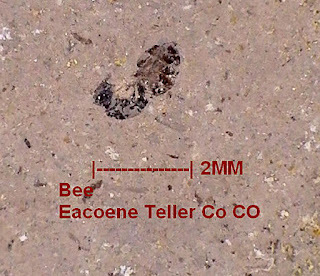 It dates to the Eocene Epoch of the Paleogene Period. 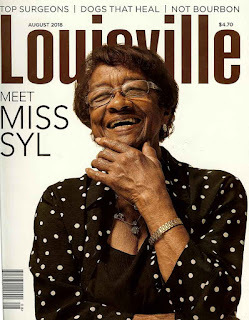 Thanks to Kenny for the image. 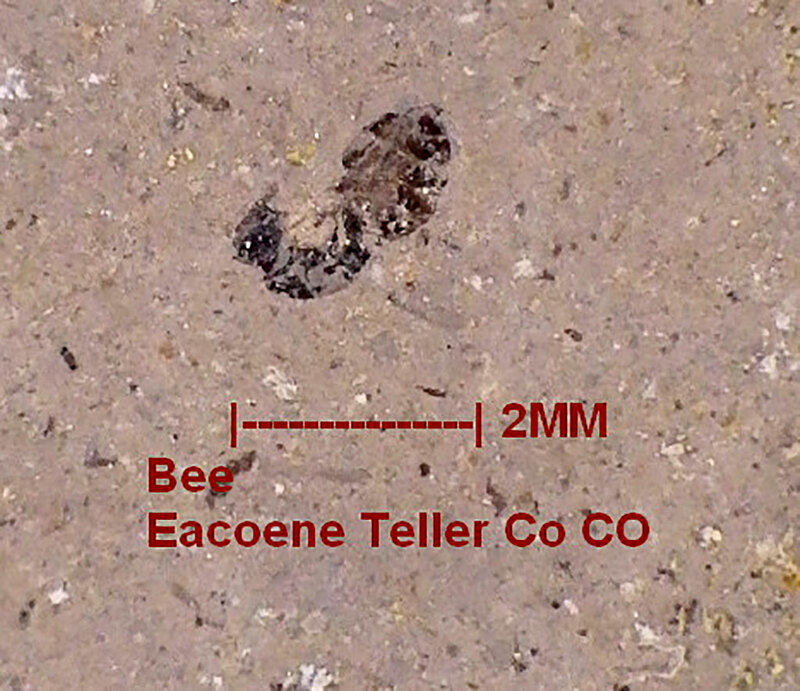 This bee fossil was found in the Florissant Formation of Teller County, Colorado, USA. It dates to the Eocene Epoch of the Paleogene Period. Thanks to Kenny for the image. 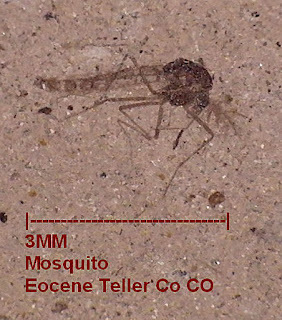 This mosquito fossil was found in the Florissant Formation of Teller county, Colorado, USA. 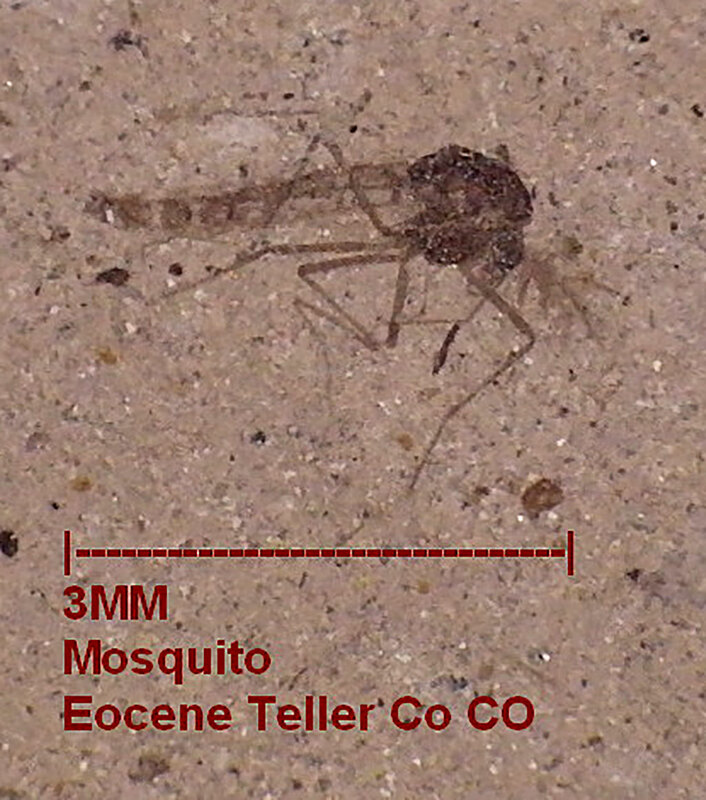 It dates to the Eocene Epoch of the Paleogene Period. Thanks to Kenny for the image. Carcharodon megalodon shark tooth fossil displayed at the Hall of Vertebrate Origins at the American Museum of Natural History in New York City, USA. 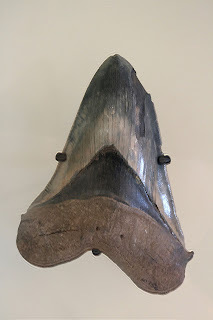 The fossil dates to the Miocene Epoch of the Neogene Period. 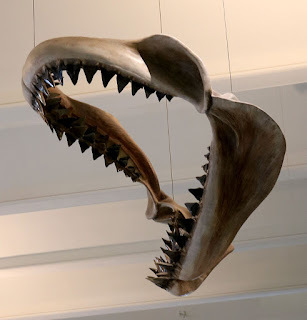 Suspended from the ceiling in the Hall of Vertebrate Origins at the American Museum of Natural History in New York City, USA, is a model of Carcharodon megalodon shark. This shark was one of the largest to ever exist and dates to the Neogene Period (Pliocene and Miocene Epoch). Diplocaulus magnicornis nectridean head fossil found in 1895 at Baylor County, Texas USA. This aquatic creature lived in the early Permian Period (275 million years ago). 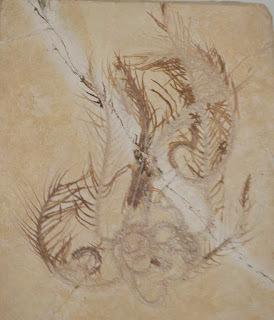 Pterocoma pennata crinoid fossil found at Solnhofen Germany. Genus also known as Comaturella. 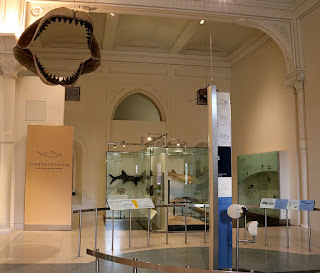 Fossil dates to Jurassic Period. 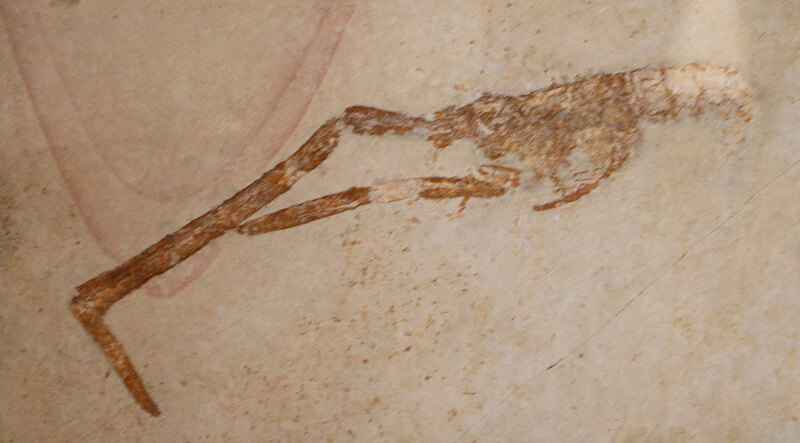 This fossil was on display at American Museum of Natural History in New York City USA as of July 2018. These images are of a 900 million year old stromatolite fossil from Atar rock formation of Mauritania, Africa. 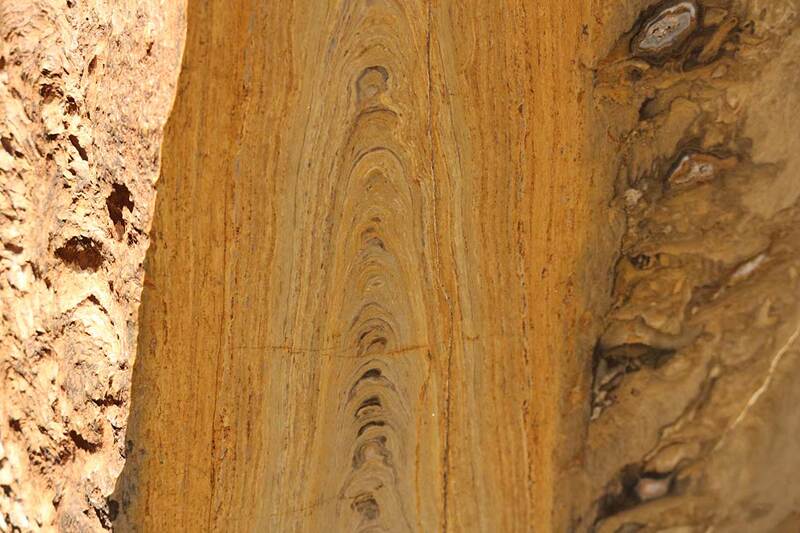 This fossil is from the low oxygen atmosphere Precambrian Period. 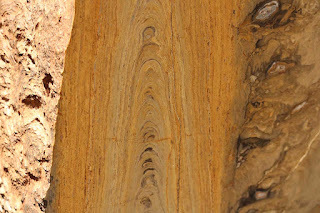 Stromatolites are mats of aerobic cyanobacteria and anaerobic bacteria that grew under shallow water. It is thought that since an ozone layer had yet to form around the Earth at this time in history that water protected life from intense ultraviolet light but allowed energy from other wavelengths allowing growth. 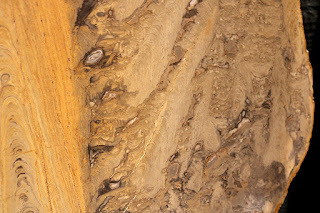 The mats of bacteria formed colonies that stacked overtime to form columns with grey carbonate mud in between branches. The specimen was cross cut and polished to allow better viewing of layers. 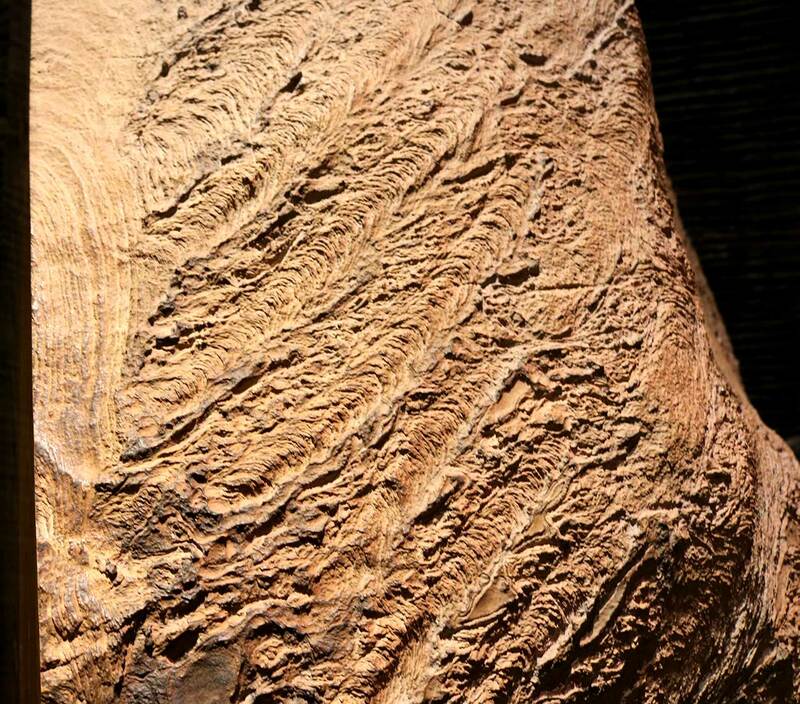 Second picture is of the outer surface of specimen. Fossil on display at American Museum of Natural History, New York City, USA as of July 2018. The August 2018 issue of Louisville Magazine contains an article I was interviewed for. 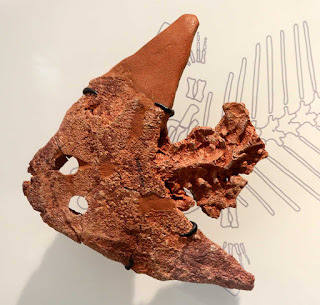 I was asked about finding fossils in Louisville, Kentucky, USA and related the story about finding a Silurian Period trilobite in the Waldron Shale (see link below about trilobite).